Proud to be included in the group show! I'm honored that "Drive Thru" will be part of the Rural Impressions and Urban Landscapes group exhibit at the New York Center for Photographic Art. 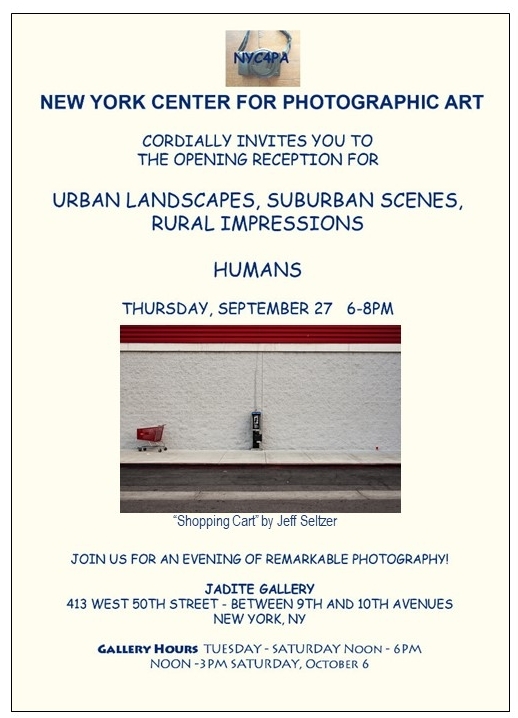 Opening reception is Thursday, September 17th 6-8pm at the Jadite Gallery, New York. I'm very proud to have been interviewed about my photography by the wonderful Speigel Online (Germany). Here's the interview, plus a photo gallery of some of my favorite images. Don't forget to use Google Translate (unless you speak German!). I'm honored that my image "Park in Fog" has been selected by juror Darren Ching as a Third Place winner in SAME/DIFFERENT call for entry (New York Center for Photography). A previous corporate client has added 24 of my images to their collection - this time, in a very cool conference room. (Fine Arts Building, Los Angeles). 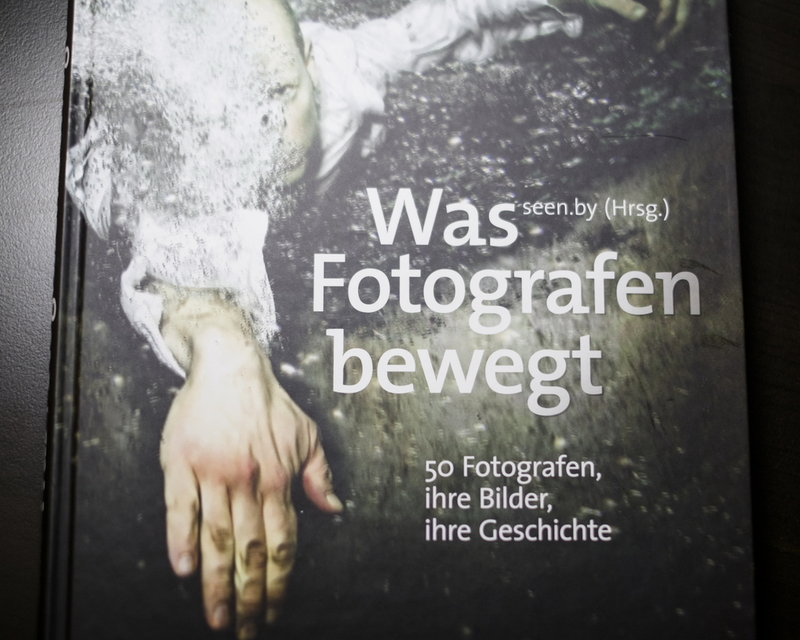 Proud to be included among 49 other photographers in this newly published book by Seen.by photography (Germany). "...Since 2008 the Photo Art Gallery seen.by is a central point on the Internet for professional and semi-professional photographers. Over 5000 creatives since then more than 60,000 photos published online in over 30 genres, and which are over 14,000 available for purchase. For the fifth anniversary of seen.by we present therefore in this lavish picture book is a selection of the best pictures and the most interesting photographers of our community...."
"Modern life overwhelming nature...The small tree is struggling against the concrete development and the arrow on the ground points into a different direction - a new direction? The straight-lined composition is really good, and the plane in the air gives you a hint of why there is a wall and also messes up the pristine lines to make the composition more dramatic." Proud to be featured in Platform Magazine. PLATFORM Magazine is a photography magazine dedicated to sourcing and showcasing emerging photographic talent from all across the world. "Tree, Shadow, and Plane" will be part of a juried group exhibition at the wonderful PhotoPlace Gallery. 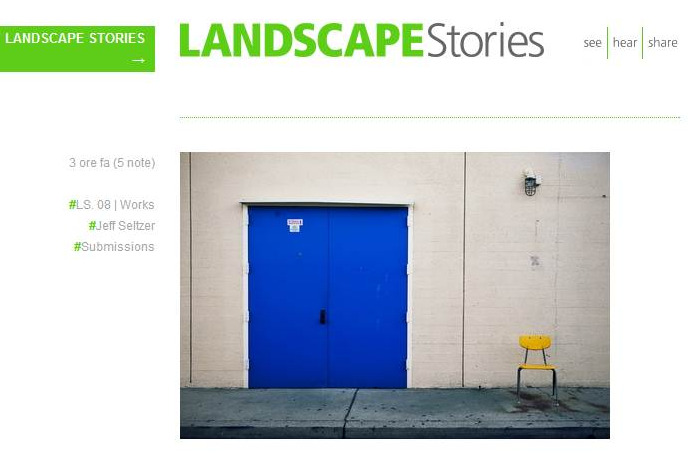 I'm proud to have several images featured in one of my favorite blogs, "Landscape Stories." For the second year in a row, I'm proud to be part of Communication Art Photography Annual. "Parking Lot" will be part of the The Built Environment exhibit at the Darkroom Gallery. Exhibit opens December 27th, with an Artists' reception on January 8th. "Parking Lot and Orange Cone" featured Featured in Fraction Magazine (4th Anniversary Issue). Check it out! 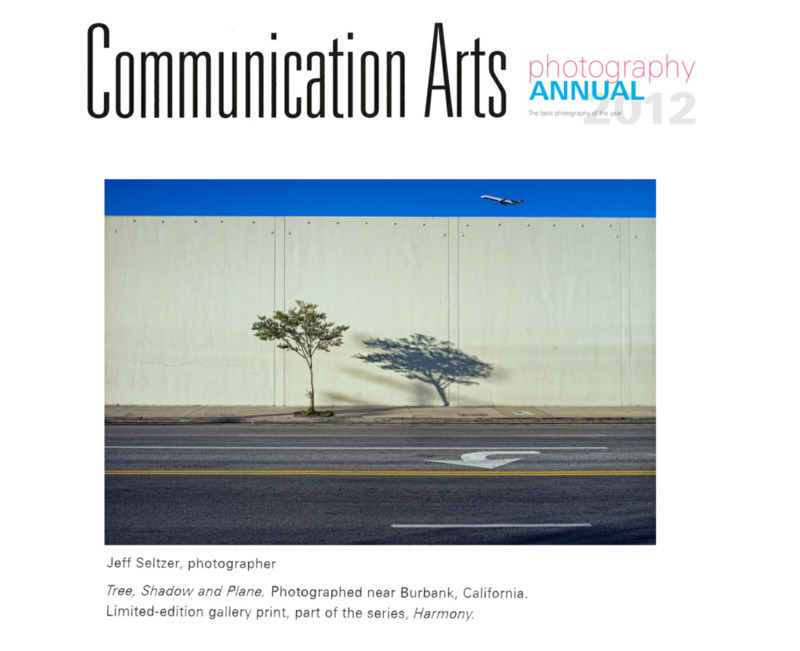 I'm excited to announce that "A Tree" will appear in the 52nd edition of Communication Arts Photography Annual. One of my favorite images appeared Photographie Magazine (German) along with a short profile. I just wish I knew German! Nice of them to send an actual hard copy of the magazine to me all the way in Los Angeles!